With Inovart products, you’ll investigate the world of art and create masterpieces. 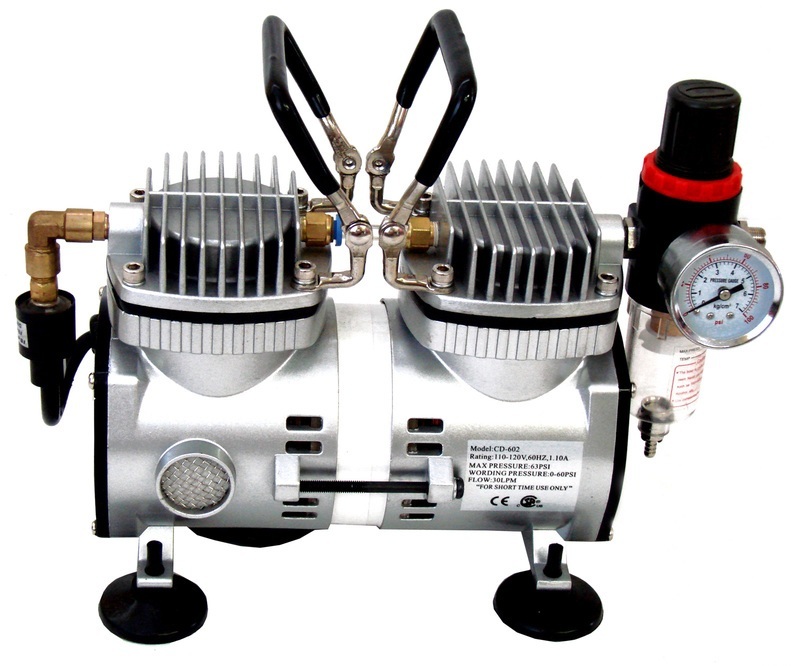 The WAC-2000 compressor can be applied to the same activities as the WAC-1000 model. However, unlike the WAC-1000, the WAC-2000 is more powerful and versatile, providing a higher output as it comes with two pistons. In general, some specifications of this mini air compressor are better than of the Inovart WAC-1000 item (the horsepower and the operating pressure are higher in comparison to the previous model). Another important feature of this air compressor is its small size due to which it becomes easy to store in any place. Place the device on any flat surface and enjoy airbrushing. The compressor is not only compact but also it is lightweight, hence, you won’t suffer physically from lasting carrying. The auto shutoff function is a useful supplement to the compressor. When you don’t use the airbrush, this feature switches the motor off and turns it on after resuming spraying. That prevents the moisture from building up and eliminates the motor wear by reducing the operating time. The quiet operation is no less important characteristic than the vigorous work. That allows you to create in silence and concentrate on what you are doing. 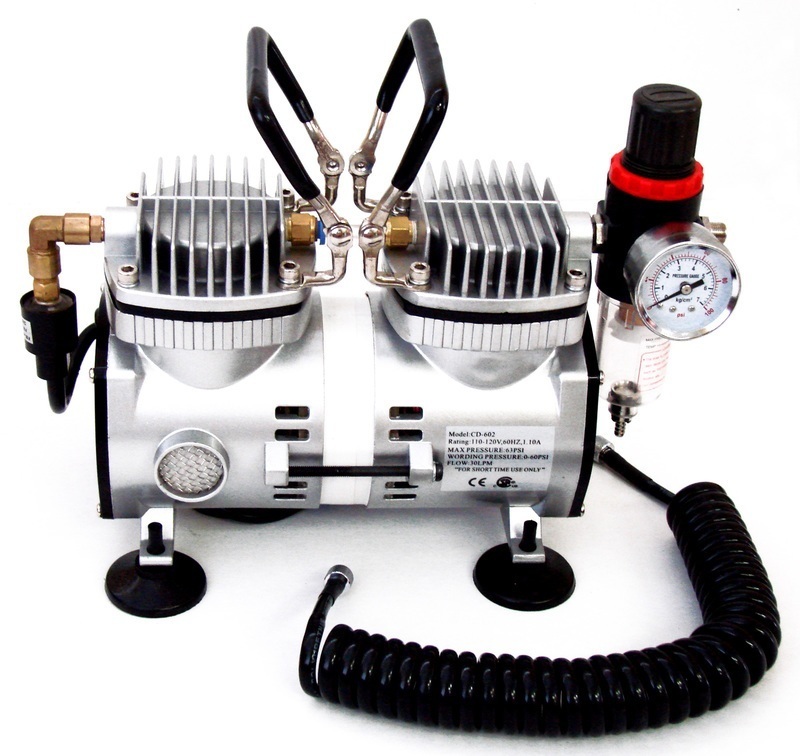 In most cases, the silent operation of the motor becomes a crucial factor while choosing an airbrush compressor. And this item can meet your demands. As you may notice, the WAC-2000 is multifunctional, combining many applications in one. Thus, you don’t have to buy several devices, you can choose only one item and use it in various ways. 11" x 9" x 7.5"